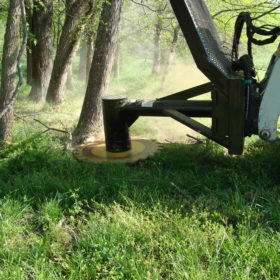 The mighty BRON with 8 foot mulching head. 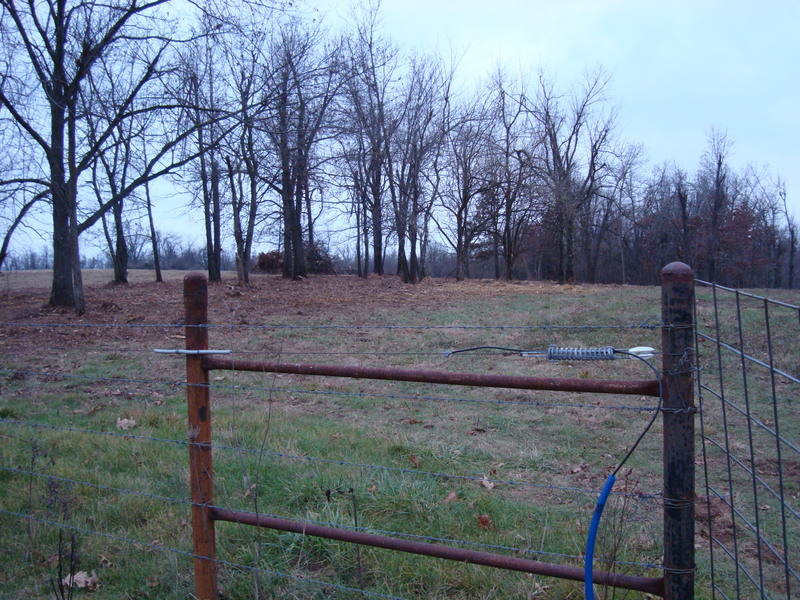 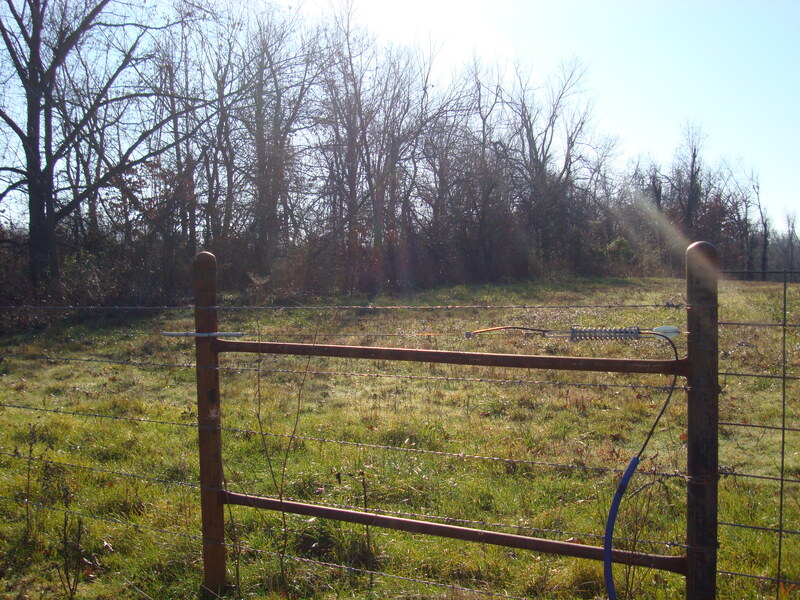 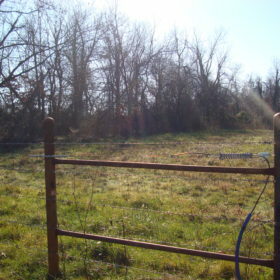 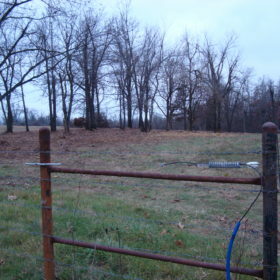 Vegetation from fenceline is encroaching on the pasture. 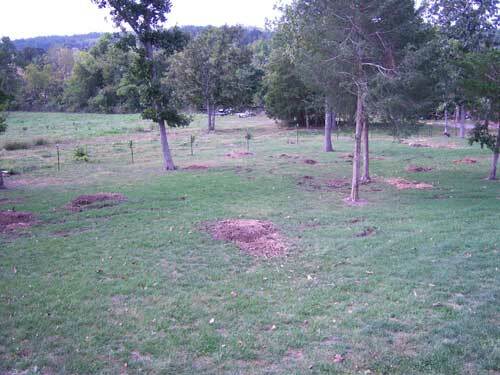 Pasture has been broadened with mulching. 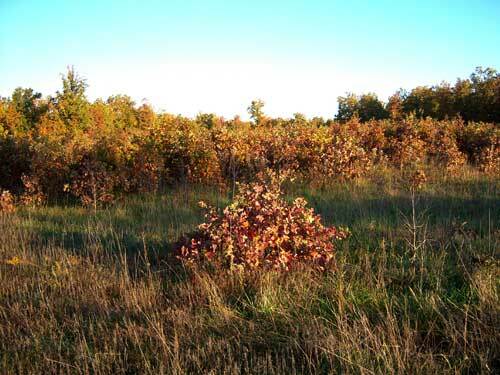 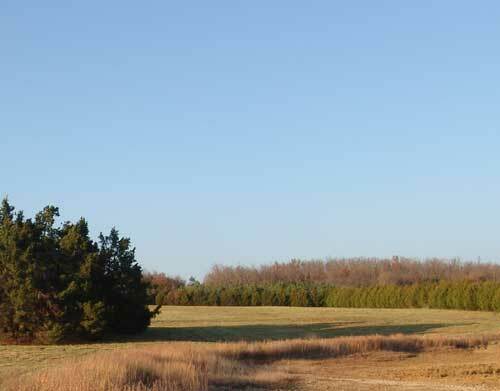 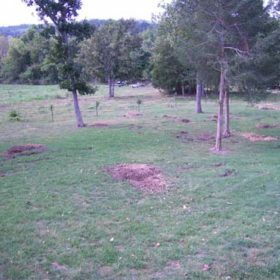 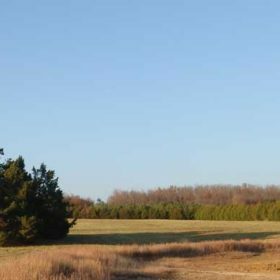 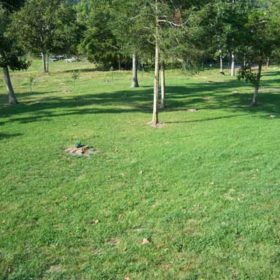 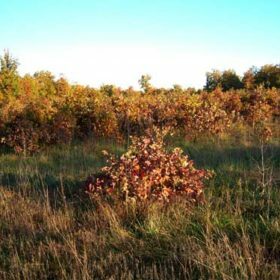 Pasture reclaimed with mature trees for shade. 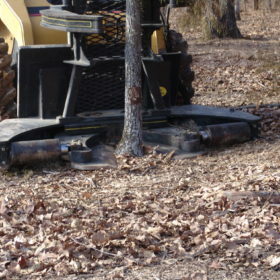 Bron working the end of the job. 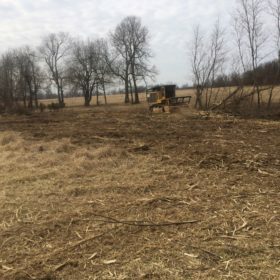 Sometimes you want a very finished look to the property. 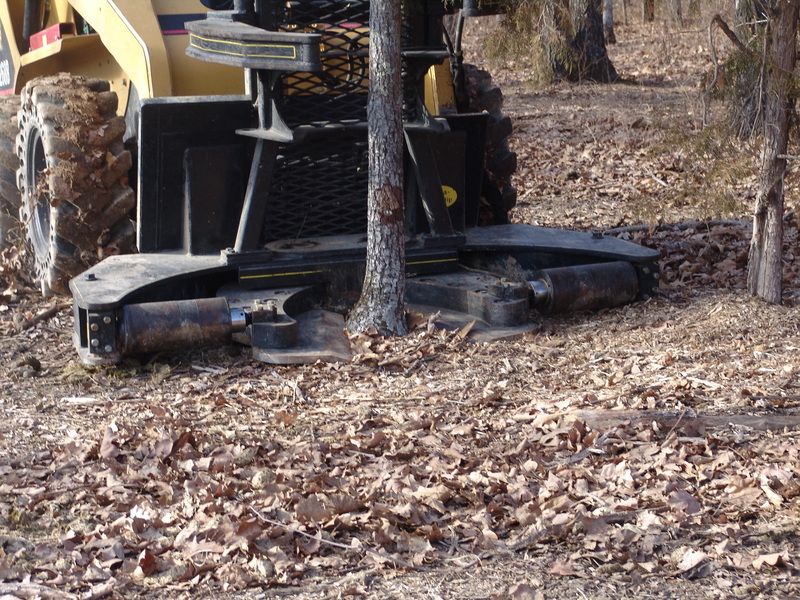 With a cut and chip process we cut to ground level and toss fine chips that leave the area looking great. 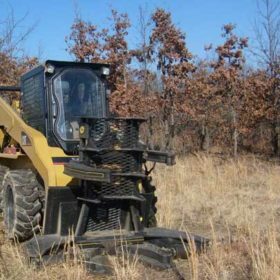 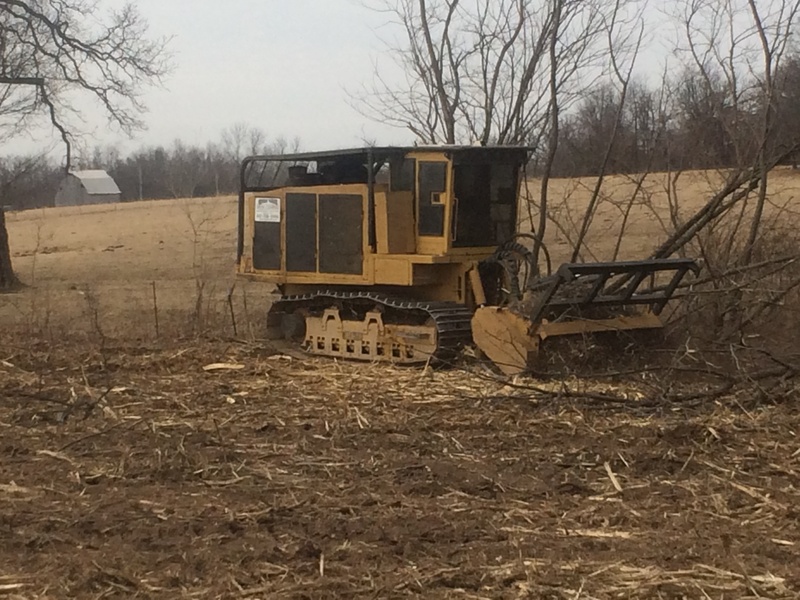 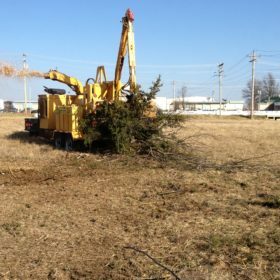 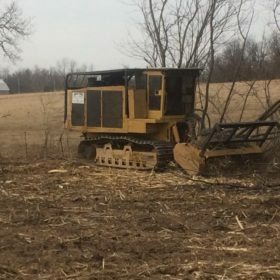 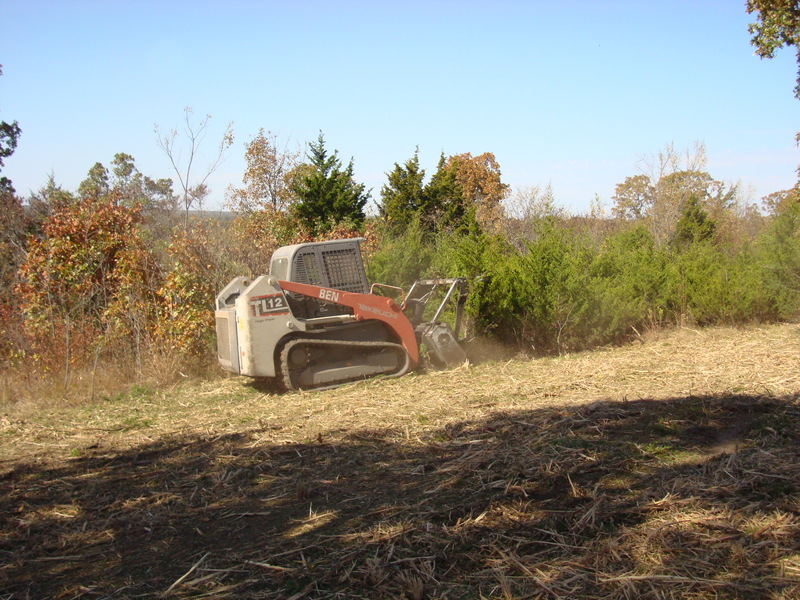 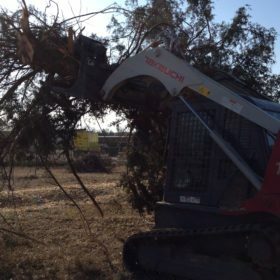 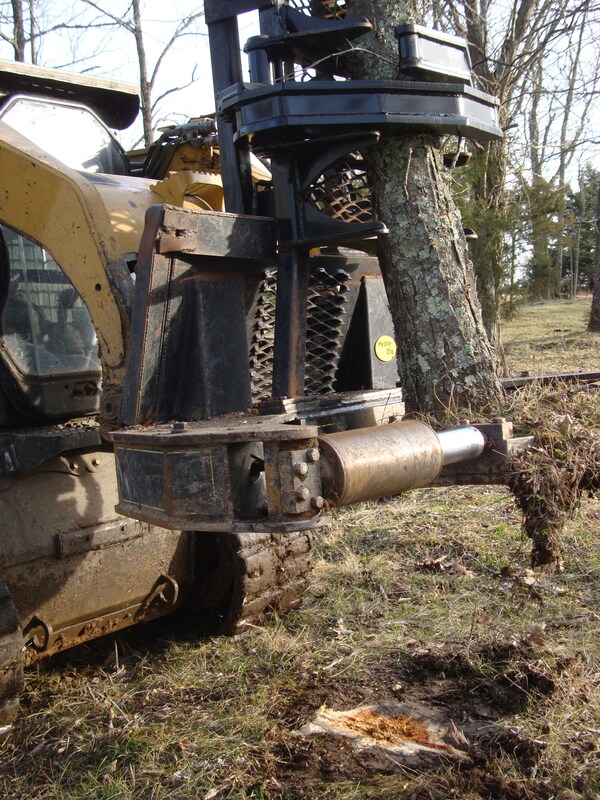 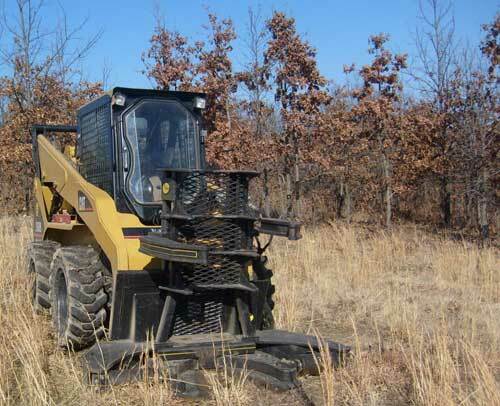 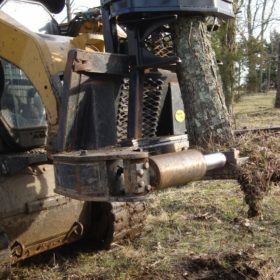 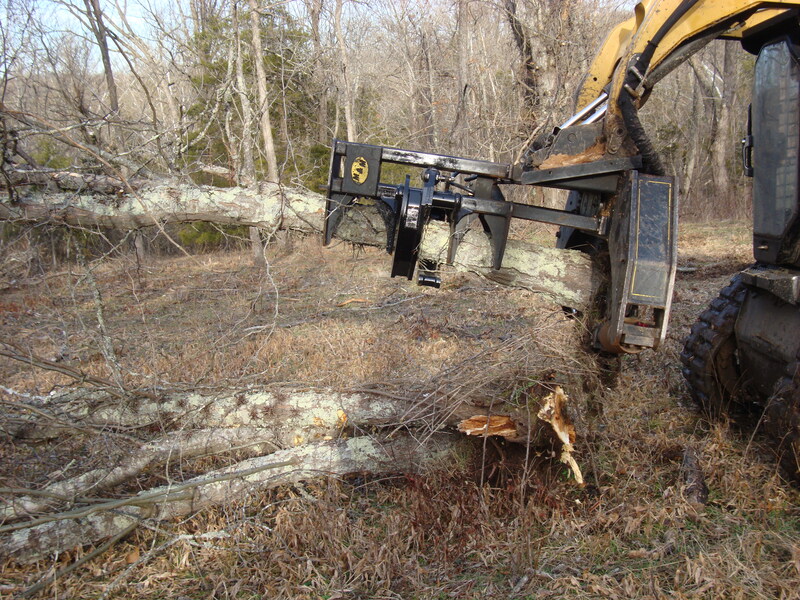 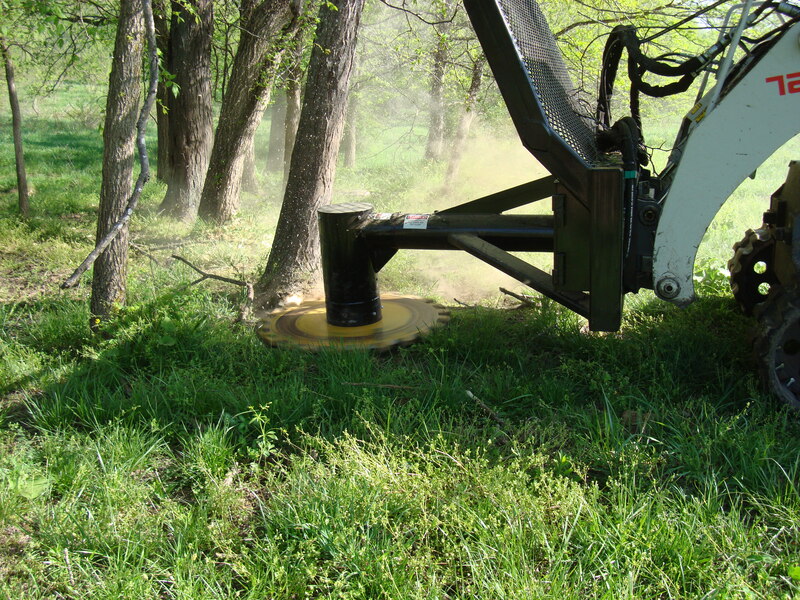 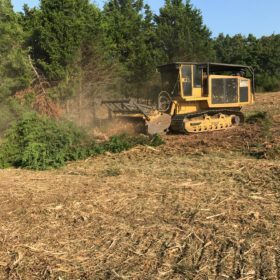 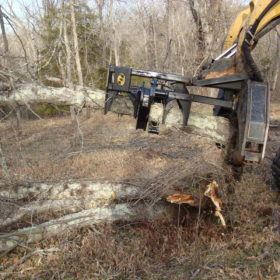 Mulching with Cut and Stack is accomplish with mulching heads, shear and grapple attachments, and a 42 inch tree saw attached to one of our skid-steers. 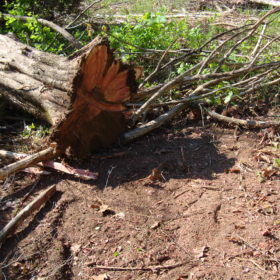 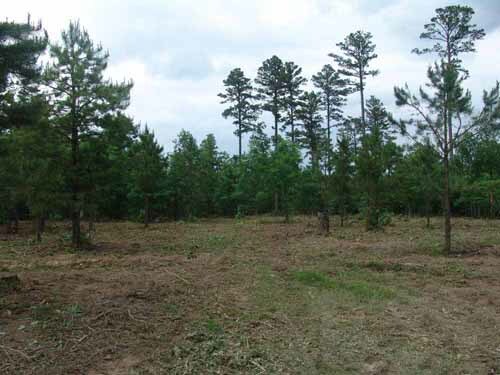 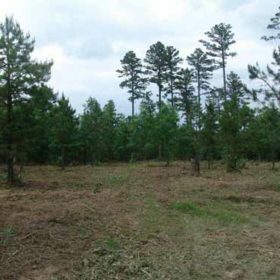 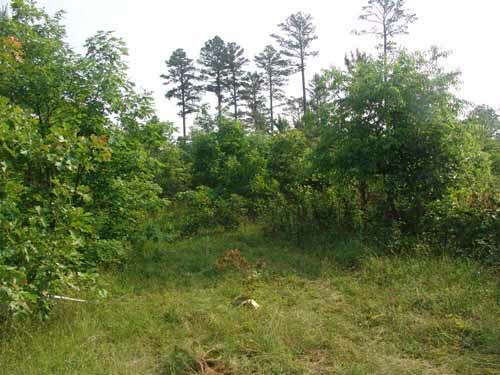 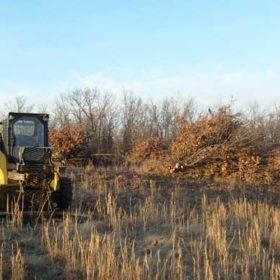 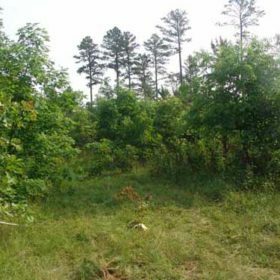 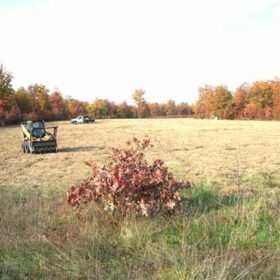 The combination of mulching smaller woody vegetation with cutting and stacking larger trees provides some of the mulching benefits while helping keep your costs lower. 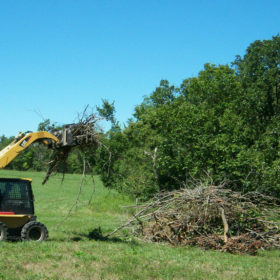 A “shear and stack” job clearing oak sprouts and stacking to burn. 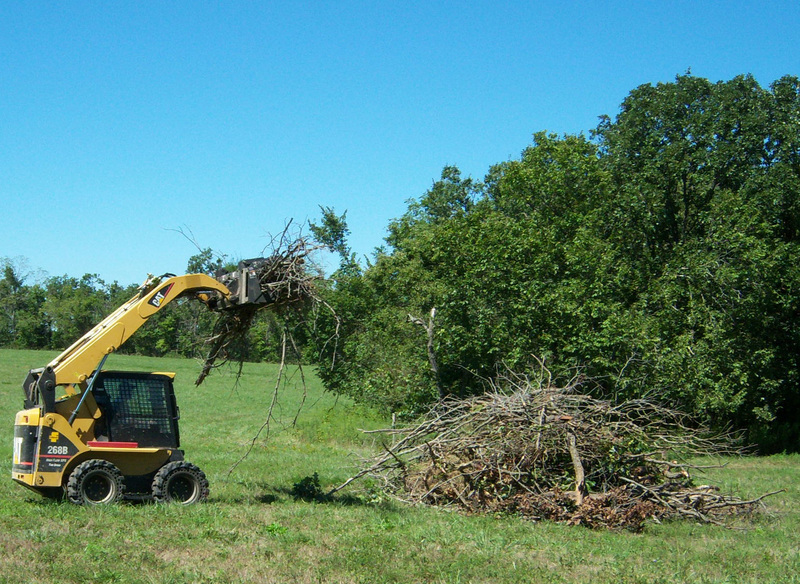 Note that all the trunks face the same way in the stacks making for a tightly packed and easy burning pile or a handy way to cut the remaining wood for fuel. 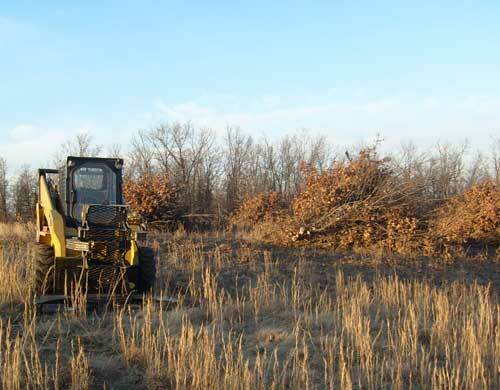 8 acres of oak scrub and stumps cleared with the CAT mulching head and the Field Stumper. 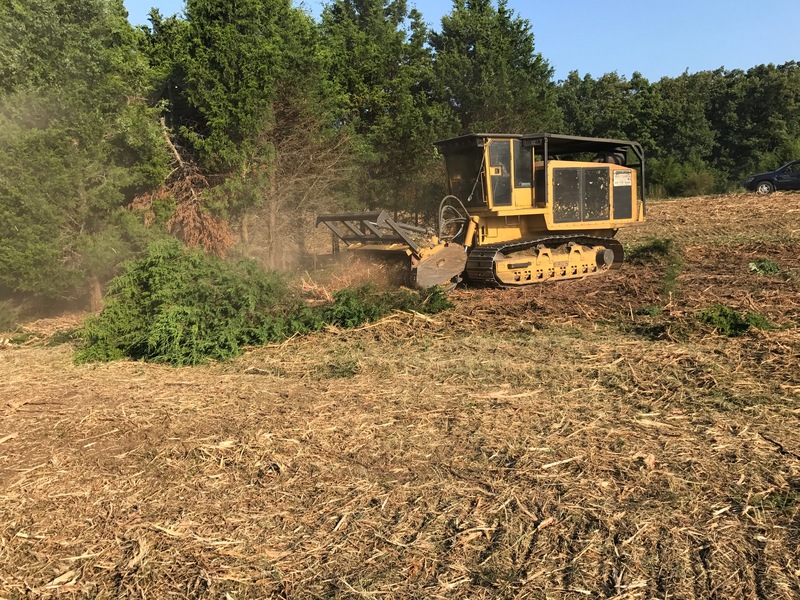 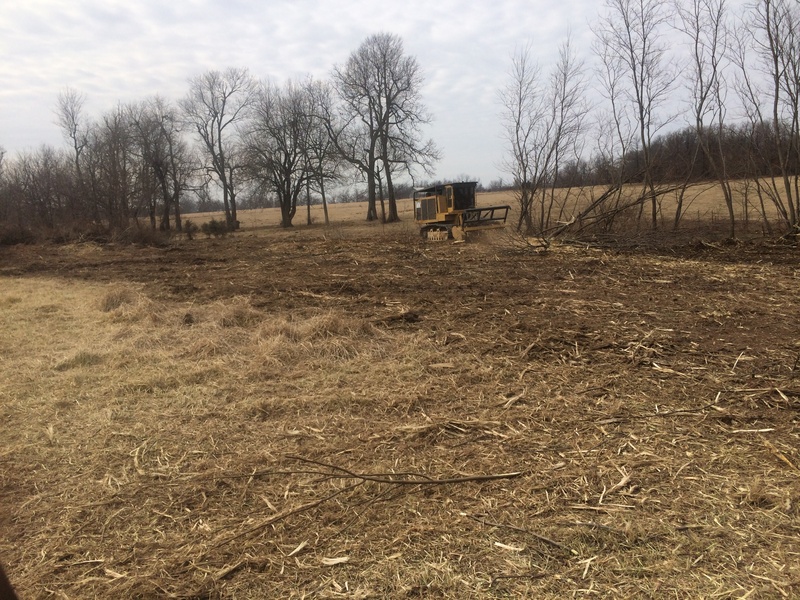 This job was completed in 3 days despite the trees being extremely thick and taller than the Skidsteer, and the field being full of old large stumps! 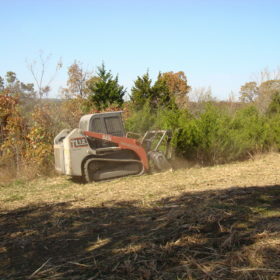 Quick grinding of field stumps (property owner chose to do final cleanup). 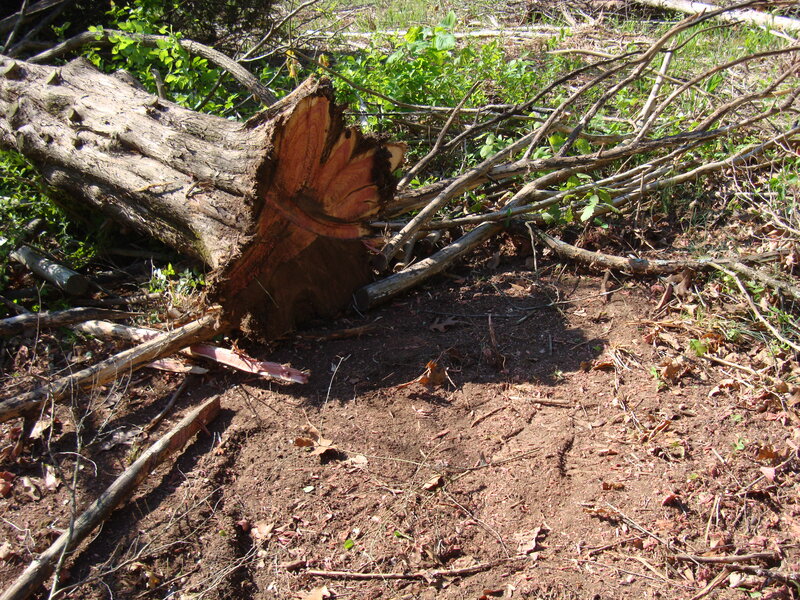 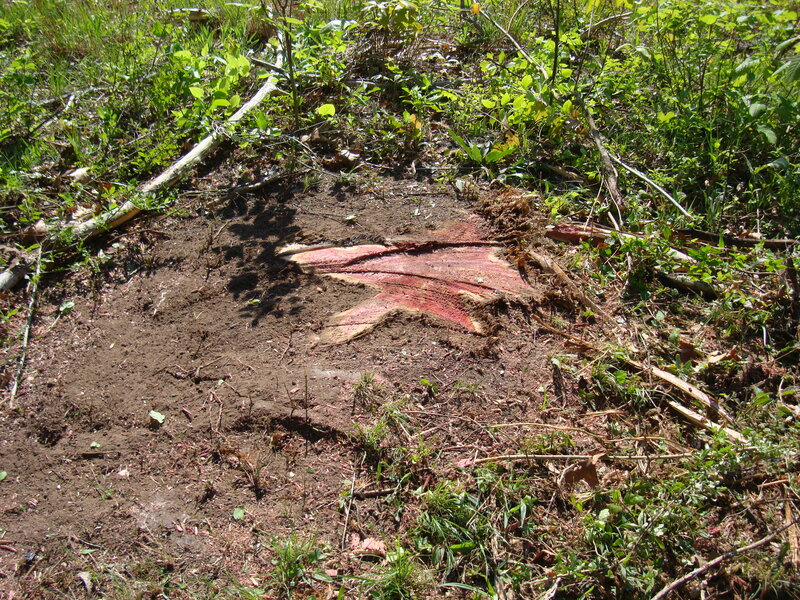 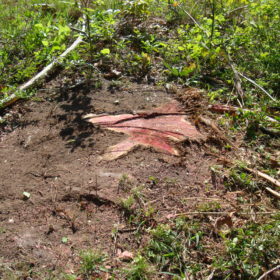 This job actually included over 100 stumps and was completed in just over 3 hours! 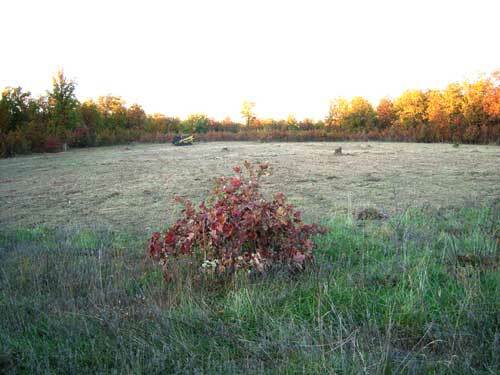 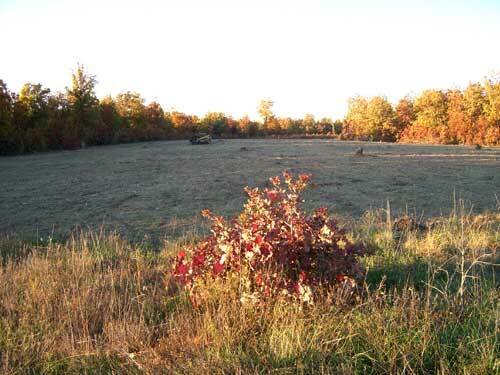 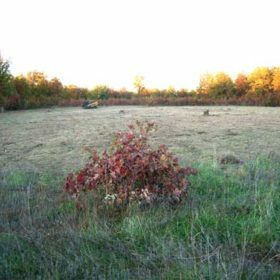 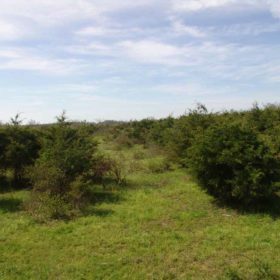 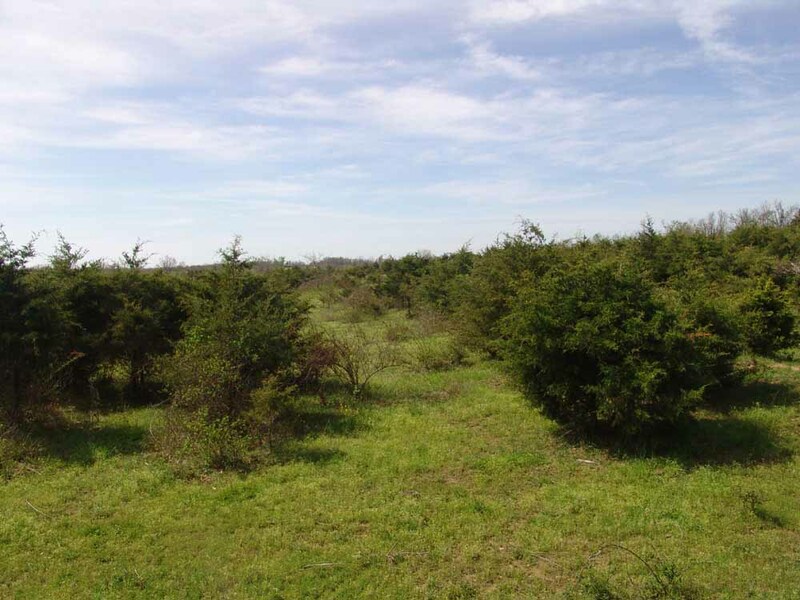 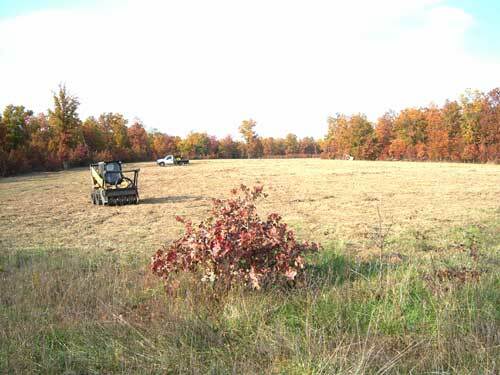 This field was full of small cedar and locust trees. 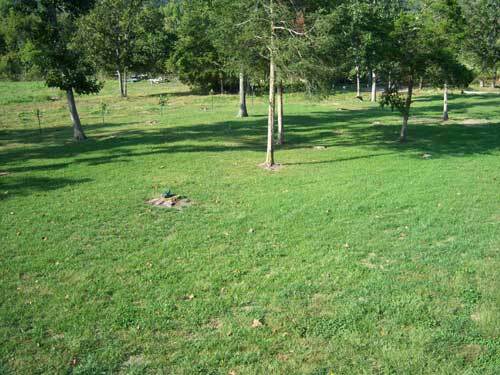 Picture on the left is before clean up and the right picture is after using the rotary mower and shearing locust trees. 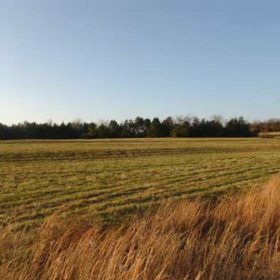 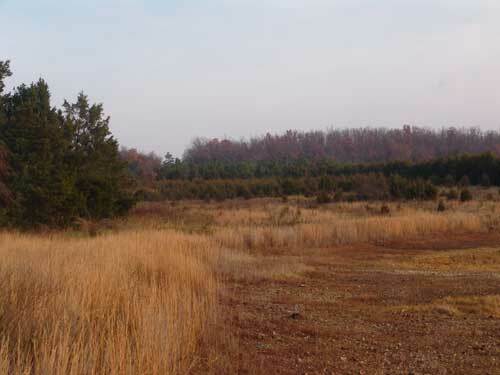 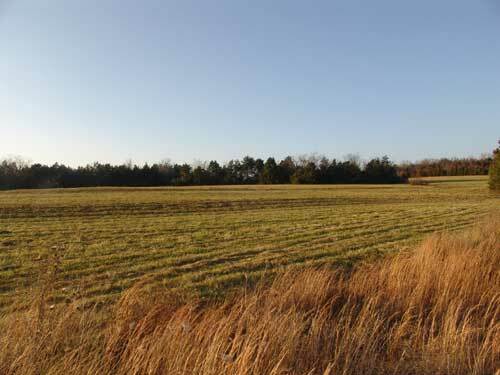 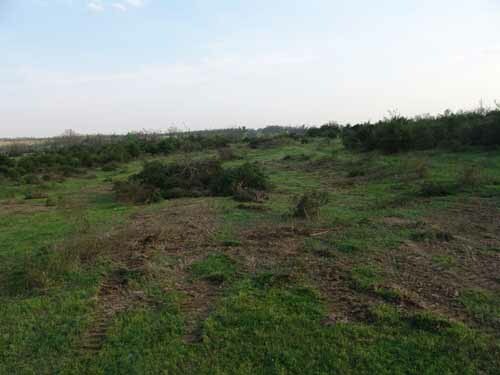 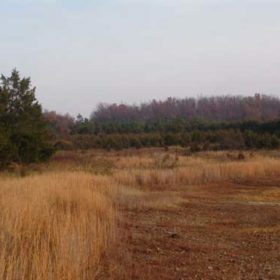 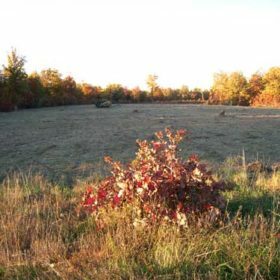 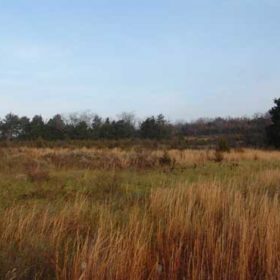 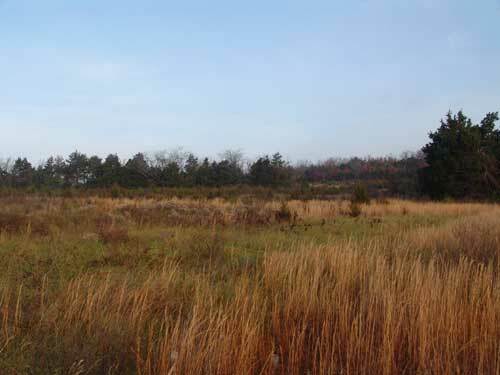 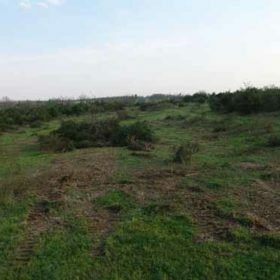 This set shows a left view of the same field as above before and after clearing.